During the course of their research for the new Austrian exhibition in Auschwitz the curatorial and scientific team came across a collection of postcards depicting Austrian scenery in the holdings of the Auschwitz-Birkenau State Museum. 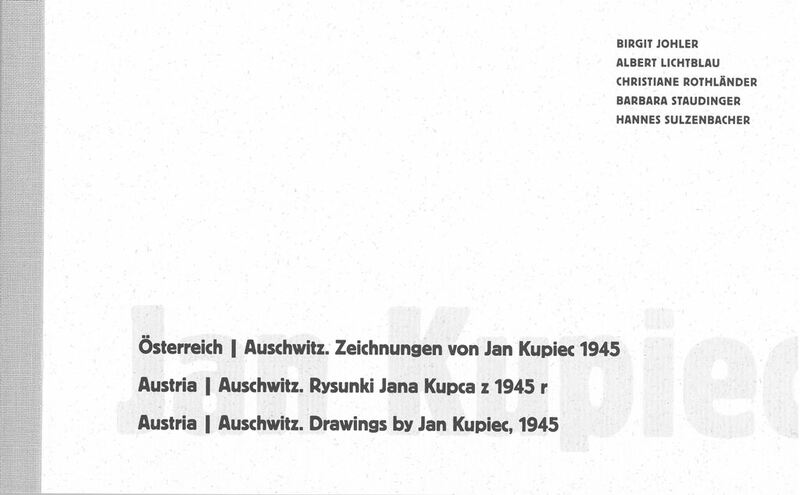 On the back of the postcards are scenes from the concentration and extermination camp Auschwitz-Birkenau, drawn by the Polish Auschwitz survivor Jan Kupiec following his release from Mauthausen/Ebensee in 1945. In the Year of Remembrance 2015 the National Fund presented a postcard edition, published by Birgit Johler, Albert Lichtblau, Christiane Rothländer, Barbara Staudinger and Hannes Sulzenbacher, which can be obtained via exhibition@nationalfonds.org in exchange for a voluntary donation. The donation goes to the association "HEMAYAT - Care Center for Victims of Torture and War". Birgit Johler, Albert Lichtblau, Christiane Rothländer, Barbara Staudinger, Hannes Sulzenbacher (Ed. ), Wien 2015.